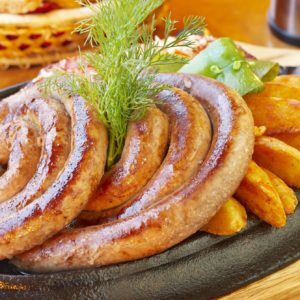 The Pepper Bites are a traditional German recipe that combines a smoked pork sausage with a distinct peppery taste. 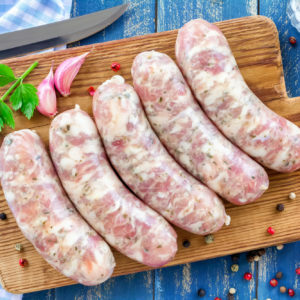 Great as a snack or as part of a dish these little 2oz sausages are delicious when eaten cold but do get a bolder flavor once you heat them up. 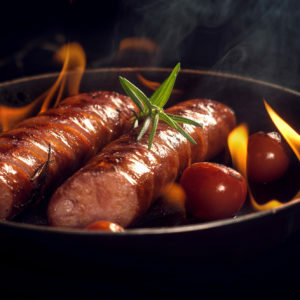 To do so, you can put the already fully cooked sausage links in a pan or on the grill. Or you can put them in simmering water for a few minutes to even enhance the juiciness of those delicious Pepper Bites. It’s also perfect for stews to give them that smoky meaty flavor. You can also slice it up and put it on your sandwich, have it just as it is, or use it for your Dinner with some steamed vegetables. 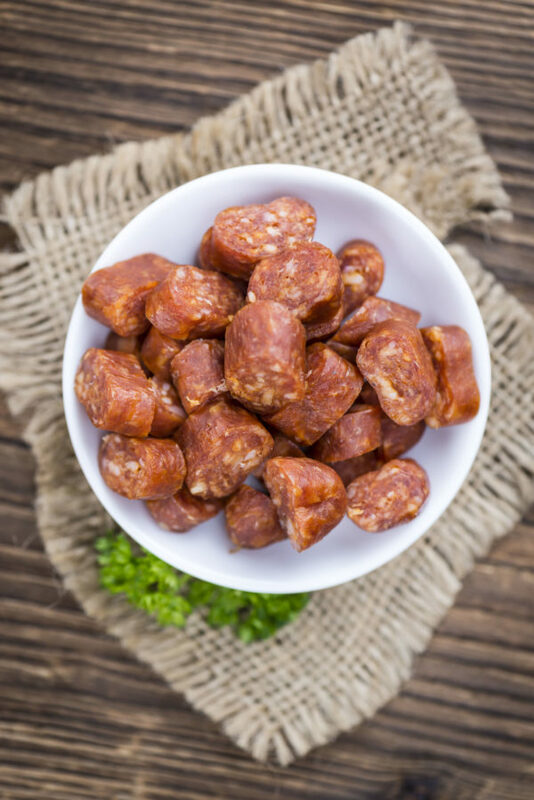 We took a traditional German recipe (Mettwurst) and altered it a bit to make it more spicy but kept the base flavors which will give you a Pepper Bite like you’ve never had before. There are 5 Pepper Bites to one package and we guarantee you that once you opened them they will be gone in no time. Cut up 5 Pepper Bites into 1/2″ thick slices and toss them in a pan and fry them for a few minutes until they’re hot and juicy. Put them on a plate and put some tooth picks in the pieces. 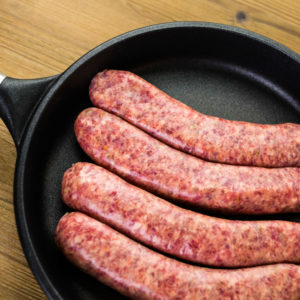 Serve with some mustard and some bread. Delicious!